Another acrylic painting! 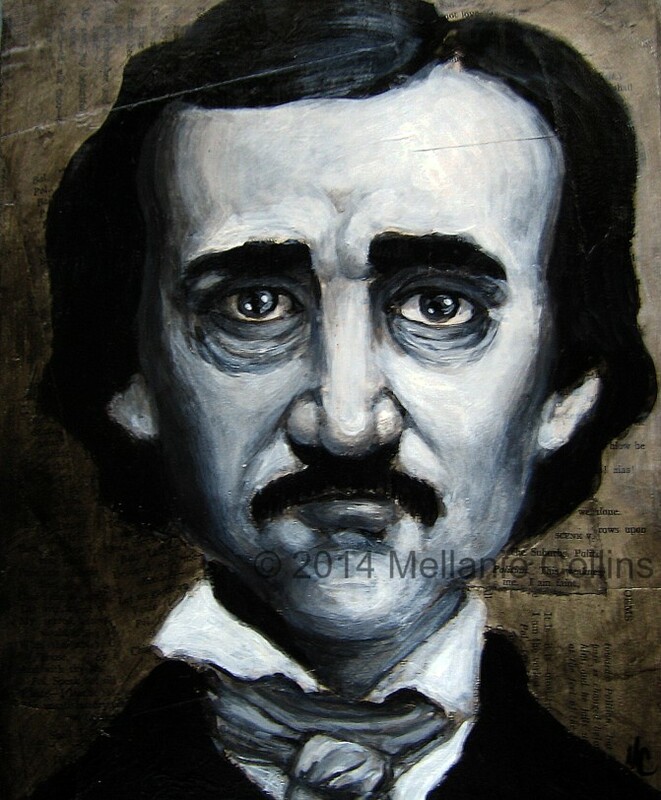 The Poe fest continues with this 8″x10″ painting. 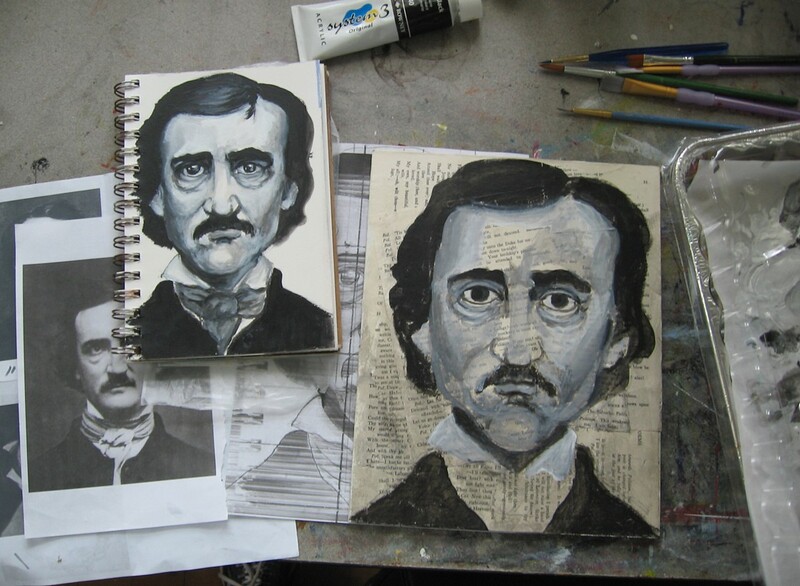 I took some pages from the poetry section of an old book of Edgar Allan Poe’s works and pasted them onto my hardboard and got right to painting. As I did with my Albert Einstein painting, I put down many thin layers to get a blended effect. Here’s an image of the work in progress with my reference photos and preliminary painted sketch. I like how this painting turned out. I was going to put it up for sale, but I just can’t part with it. At least, not right now. This is such a GREAT painting! Terrific depth and contrast and I love the neutral colors. Haha, I understand why you’d want to keep it! Thanks Cindy! I’d love to make pieces like this consistently. And larger pieces too! Funny to think how large I think an 8″x10″ painting is.